Join us in supporting the fight against Breast Cancer with our Pink Pledge Collection. 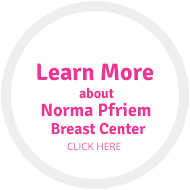 For every arrangement sold from our special collection during the month of October, we will make a donation to the Norma Pfriem Breast Center. Help us turn the town pink!